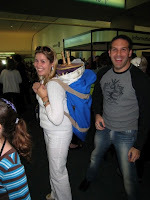 One of my favorite Facebook pictures is from the 2007 URJ Biennial, where I am seen carrying a TBS Torah on my back. The Torah peeps out of a duffle bag as I proudly inform everyone that I have a “Torah 2 Go.” Torah can be viewed and studied almost anywhere—all over the world and even beyond. Who can forget the image of the mini Torah that Israeli Astronaut, Ilan Ramon, brought into space? 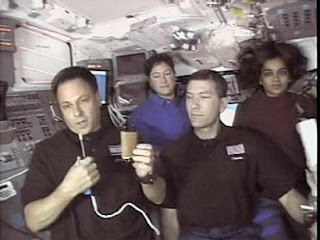 In pictures from the on-camera broadcast, Ramon is seen holding a Torah that originated at the Bergen-Belsen concentration camp and ended up in a space shuttle overlooking planet Earth. In his conversation with Prime Minister Ariel Sharon, Ramon commented that the scroll represents the Jewish people’s eternal ability to survive. The mobility of Judaism has contributed to our people’s survival and has spread our wealth of teachings and values. Such mobility is an idea that originates in Parshat Terumah. 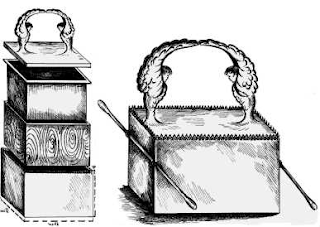 In Terumah, the Israelites are called to donate materials for the creation of the Tabernacle—a portable sanctuary that would be used for worship in the desert and through the Israelites journeys. While the construction of the tabernacle is somewhat laborious, the Ark holding the commandments is set on poles that allow for easy mobility and setup. According to Exodus 25:15, “The poles shall be in the rings of the Ark; they shall not be removed.” By forbidding the dismantling of the poles, the Ark is available to be moved at a moment’s notice to any location. The Lubavitcher Rebbe preaches that “If there is a soul thirsting for the word of G-d in the ends of earth, the Torah scholar must be prepared to leave his inner sanctum to transport the Torah to that place.” Perhaps the Ark, the most vital item, also needed to be portable in the event of evacuation. As Jews needed to relocate or flee throughout history, their holy books and other ritual items needed to be portable. As God looks around at the human minds’ creations—smart devices, computers, and more—I think God might be proud of how we have taken this mitzvah of mobility to a new level. We live in an age where siddurim and tanakhim can be downloaded onto ipads. The study of Torah is literally at our fingers, wherever in the world we may be. If we are homebound, we can watch services through the internet. How amazing it all is! Judaism, indeed, is mobile and portable. How do you take advantage of this mitzvah?